If you're flying from Edinburgh airport in the morning, staying close to the terminal will make your journey a more relaxed experience. Our Edinburgh off-airport hotels are great value and can be booked with or without parking. Skip the traffic and the early alarm by booking one of the three Edinburgh off-airport hotels we have available. Off-airport hotels are outside the airport perimeter, whereas on-airport hotels are within the airport grounds. We have three off-airport hotels at Edinburgh and all provide 24-hour transfers to the terminal. All our Edinburgh airport hotels can be booked with a parking package for up to eight or 15 days so your car can remain safe and secure while youre away. Why is pre-booking a good idea? HolidayExtras.com® will save you up to 40 per cent on the standard price when you book in advance and all of our hotels are backed by our Best Price Guarantee. And whats more, the earlier you secure your room, the sooner youll be able to relax and look forward to the holiday ahead. Which Edinburgh off-airport hotels do you offer? The Quality Hotel Edinburgh airport is a 3-star hotel just half a mile from the terminal, offering great value and convenience. All rooms are en-suite and have a telephone, hairdryer, trouser press, a TV with satellite and pay-per-view movies and tea and coffee making facilities. Guests booking through HolidayExtras.com can also dine for less, with 17.5 per cent off food and drink in the hotels restaurant. For the ultimate in relaxation, our two 4-star hotels offer a range of impressive facilities. 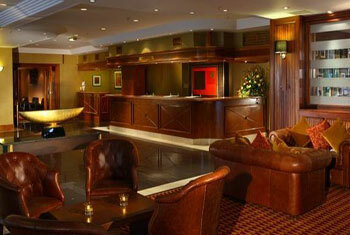 The luxurious Marriott Hotel Edinburgh airport has its own indoor pool, gym, sauna, steam room and solarium. The hotel has a restaurant and a cafe bar, which serve breakfast, lunch and dinner daily. Its conveniently located less than three miles from the airport and transfers are included in the price. 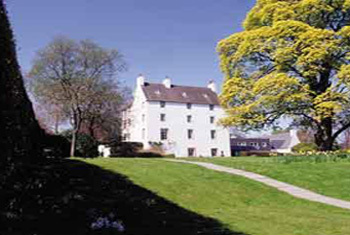 The Macdonald Houstoun House Edinburgh airport is less than ten miles from the airport and is a delightful 16th century building with an 18-metre indoor swimming pool, a sauna, a steam room and a fully-equipped gym. There is even a tennis court for those who are feeling energetic and rackets and balls are available to borrow.